Not sure if this was a good idea, but i put this in the basement of the music department for all the music kids practicing down there. 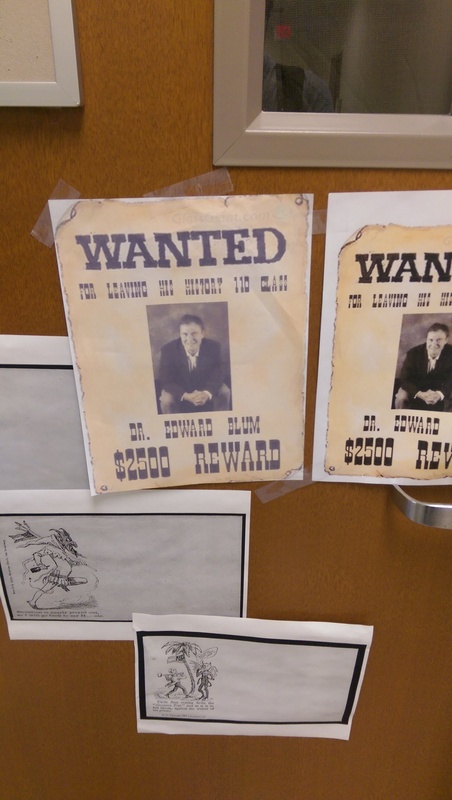 They would probably take this down if any professors were around. 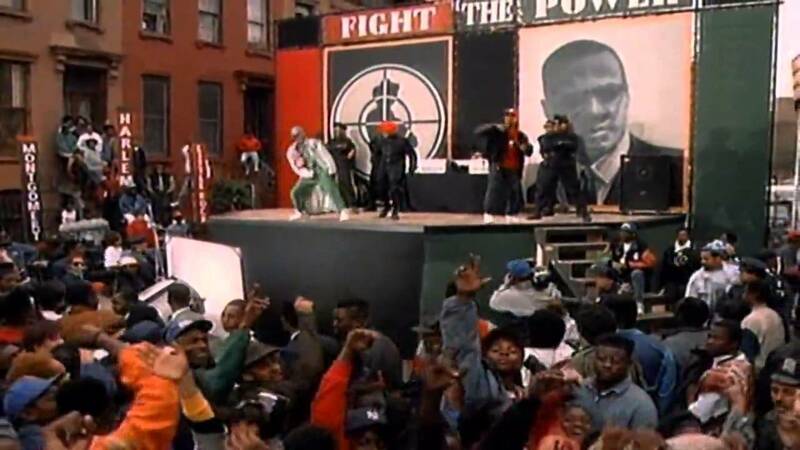 This is a picture of Public Enemy on their song Fight the Power, it was taken from the music video by Spike Lee. It is a JPG file and the intent of this image is to spread awareness of the Black peoples struggles in impoverished areas in 1989. The image is slightly pixelated, but shows the point. This was created after the time period of topic. The reason I chose this picture to represent my topic is because it represents the African American civil rights struggle in a year that is slightly more older than the civil rights struggle happening in the present day. It was also the first song that my TA, Linnea Zeiner played during the first lecture of this class. The words ‘Public Enemy’ and ‘Fight the Power’ ring in my head as I listened to this song. During 1989, there was a lot of neglect for the crime filled inner city. The African American was still seen as someone who caused trouble –a Public Enemy, no one wanted to help them and leaders of the African American population came and went due to controversial issues. Why I find this picture so significant is that even now today with the Baltimore Riots, the African Americans are still fighting for the same civil rights as everyone else. A played out riot like this is exactly what is needed nowadays now that media has finally shown light on the police cruelty that has been going on without any publicity whatsoever. The government has neglected these problems far too long and it almost seems that the negligence was intentional to further bring down the state of places in poverty. This picture represents the movement that we need nowadays: we need art, music, and people who desire equality for all. The Baltimore riots have gotten to be controversial because of multiple theft and arson, which is exactly why it is not gaining as much media support on the African American side. It would be interesting to find if they could use art as a catalyst for riot rather than violence. On the other hand, perhaps the African American public found that art in the past hasn’t stopped the unfairness brought by society and finally was forced to resort to violence to get their point across. When the Professor was talking about the Watergate scandal with Nixon, it remind me a lot of the movie “Gangs of New York.” While this movie got history completely wrong in many ways, it showed a parallel to Nixon and the Watergate Scandal in which these gangs controlled everything in the city from elections of mayor to who controls the money. 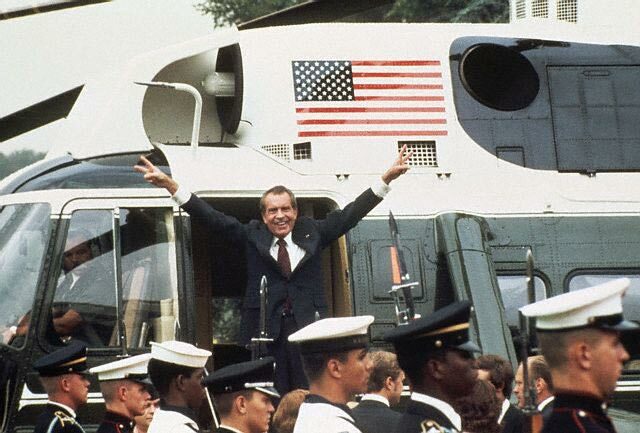 Much like how in the Watergate Scandal, Nixon and his “lackys” did all in their corrupt power to get what they want while also keeping a mask of being patriotic and a president who loves the country. Nixon most likely resembles the anti-immigrant gang leader William Cutting in a more concealing way. Hack #5 Feminism Anime? One Piece? In lecture the professor talked about how barbie dolls brought on unrealistic images of women to society. I found a parallel in an anime called One Piece. In this incredibly long anime, the women are mostly figured with incredibly large breasts and tiny waists. In some ways one could assume that the sexualization of women is very apparent even in Japanese cartoons that kids watch at a young age. Mostly the reason behind making women in cartoons look like this is to attract a higher fan base consisting of males. It brings me gloom that there is no Blum! Also great poster to whoever made this. The fear of technology in the digital age is driven by reoccurring fears of information overload in the past, the alarming rate at which technology is evolving, and the creation of being able to possibly replicate the human mind through technology. Sure, not many of us care about being afraid of technology because nowadays we are so immersed in it. There are still few who view technology as a threat to human kind and believe that our end because of it will come quite soon. With the power of being able to access and infinite information in just a push of a button, people fear that this may create “information overload.” A strain that might happen in a brain when tasking too many things at once. Another fear that could possibly come true is the creation of artificial beings that can create even better artificial beings themselves. This sounds like a fear right out of a sci-fi movie, but interestingly enough, by the speed at which technology is evolving, this may become a possible future and may lead to the extinction of the human race. In the last couple of lectures we were talking about the cold war, how the government tried to make atom bombs seem almost not that bad when people were worrying about the effects of them. 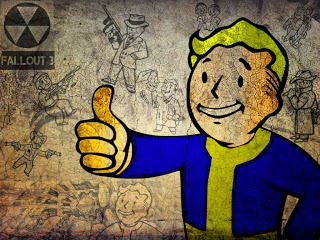 I used to have a favorite game franchise that I always played which was the Fallout series. The game always took place after the world was bombed by atomic bombs and mutated creatures and radioactivity roamed the land. When explaining how to play the game, or looking through the main menus, there still maintains that dark irony of making light of something dangerous. When scrolling through different weapons of destruction there is a happy face man usually portraying the use of these weapons. This parallels to how America tried to make light of the atom bombs around the cold war. I remember how Professor Blum was talking about how we were haunted by history. 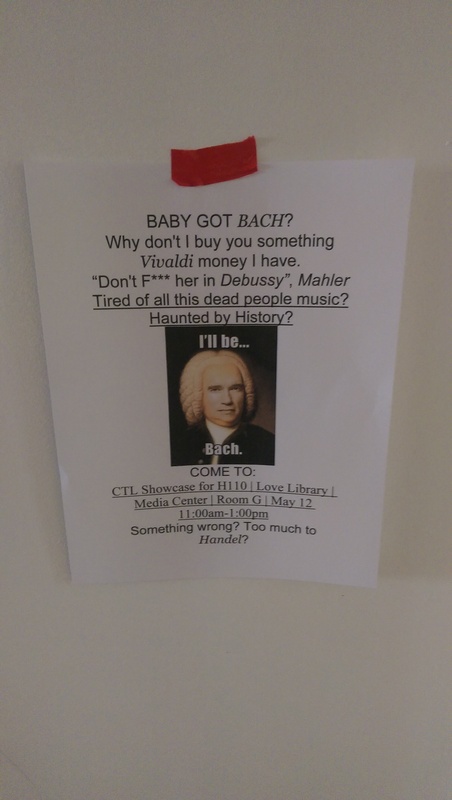 As a music major I am constantly haunted and harassed by history because I have to practice pieces by dudes that have been long dead, such as Johann Sebastian Bach. 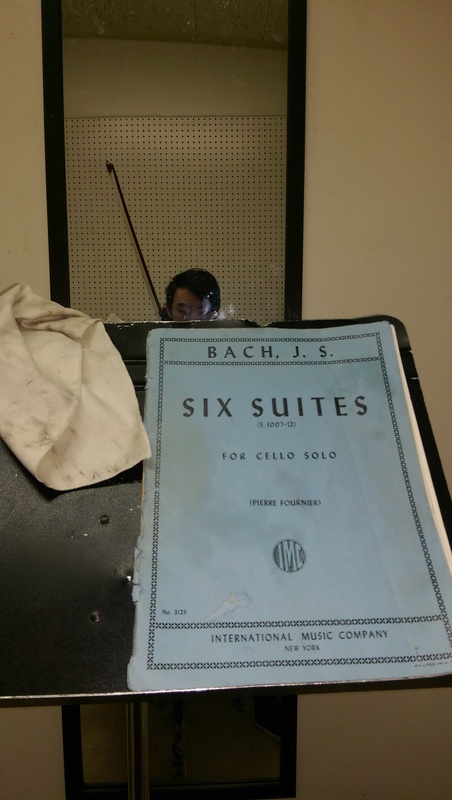 He made these cello suites between 1717 and 1729. Pretty much this whole department echoes with the sound of dead people music.